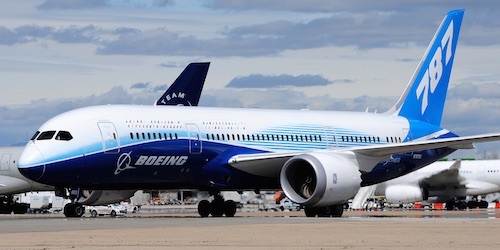 Boeing and Japan Airlines (JAL) announced an order for four 787-8 Dreamliners. The order is valued at more than $900 million at current list prices and will expand JAL’s Dreamliner fleet to 49 airplanes. The order was previously listed on the Boeing Orders & Deliveries website, attributed to an unidentified customer. New airplanes will boost capacity on the airline’s domestic routes, according to Boeing. Japan Airlines became the first airline in the world to take delivery of a 787 powered by fuel-efficient General Electric GEnx engines in 2012.